Looking over magnificent Surf Beach, this stunning home has enviable uninterrupted ocean views. Stylish and sophisticated, the home oozes character. The upper level picture windows frame the beautiful sweeping water view as far across to the famous Pyramid Rock. 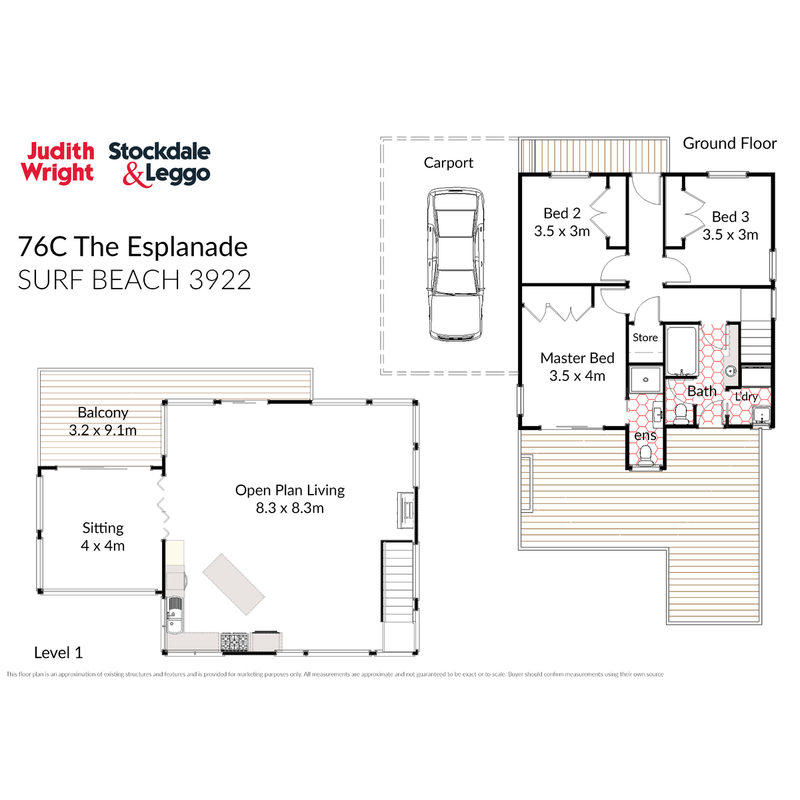 The home offers 3 bedrooms and 2 bathrooms, large upper level open plan living with soaring timber ceilings and a wonderful sun room to soak up the magnificent views and the warm summer sun. The property offers privacy and a wonderful spacious back yard with timber decking and large lawn area for entertaining. What a wonderful holiday home or luxurious lifestyle property. Ideally located opposite the nature reserve, the sandy beach and rolling surf are on your doorstep. The property is a rare GEM and a fabulous investment for under $1M. Be quick to secure this foreshore property as it will not last long.